It definitely wasn’t a walk in the park. 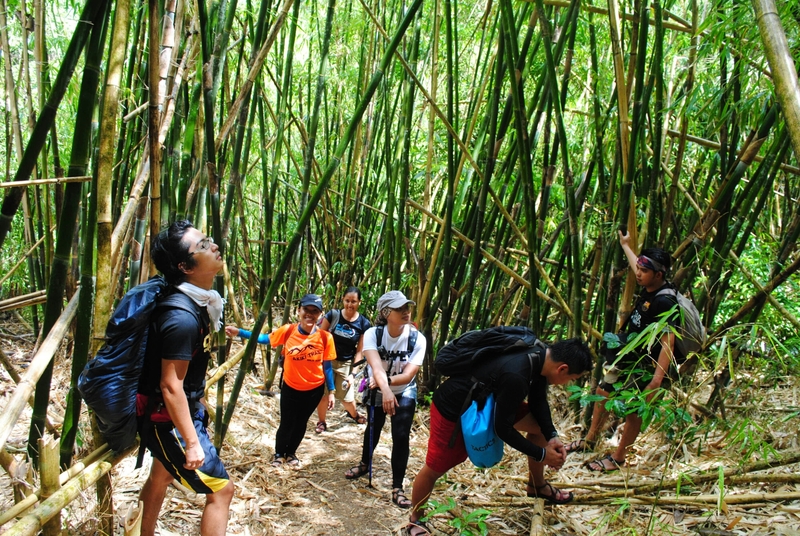 With a knee-trembling uphill climb at the early part of the climb along a trail that is newly made, the early morning sweltering temperature plus sharp grasses and larger –than-the-usual ants along the way – I’d say it was pretty much of a challenge. It wasn’t just one mountain peak that day but two, plus 8 waterfalls to trek. Nonetheless, the view of the verdant landscape was more than enough to revitalize our dwindling supply of ATP and spirit. Moreover, it was the unrivaled feeling of meeting new people, sharing stories and laughter with friends and the memories built during these moments matter more. That’s how I describe our Maynoba Circuit climb. This happened almost 3 months ago. I have been too busy with work that I had to postpone most of my write-ups. I don’t want to make this long either. I just want to come up with a short but meaningful post of my 1st climb this year. You see, I have been absent from the hiking scene lately. But as they say, we should always find a way to satiate our yearning for the things we love. 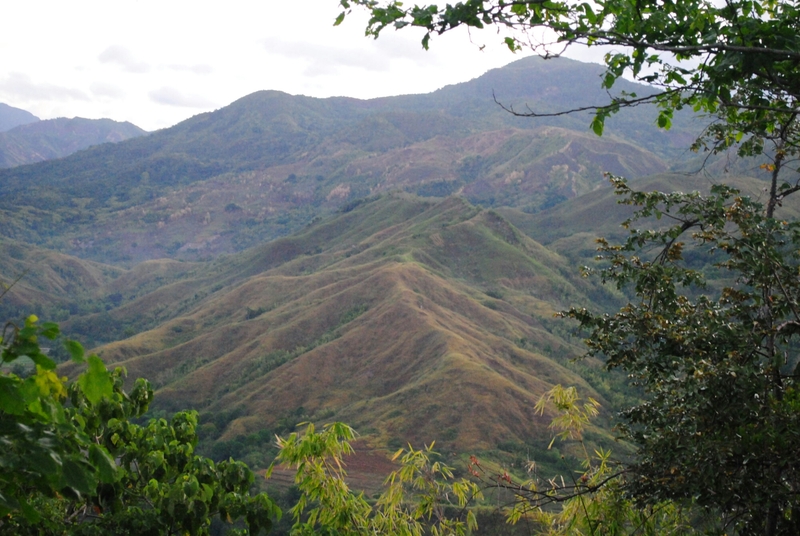 Maynoba – Cayabu Twin Hike is a relatively new hiking destination in Rizal Province. According to our guide, we were only the 3rd or 4th group to scale the mountain using the new trail. 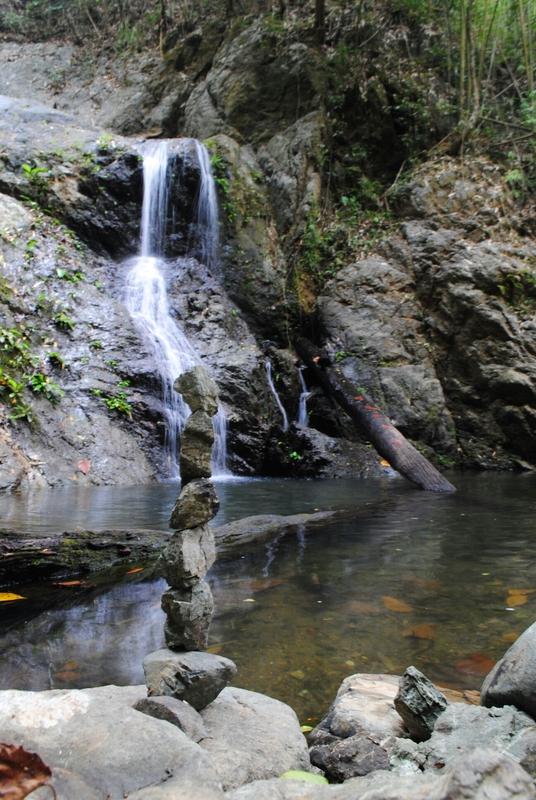 What makes the peak duo more adventure filled is the fact that the area also boasts off 8 waterfalls. Registration Fee. There is a registration fee of Php20.00 per person to be paid at Mar-ning’s. Guides. 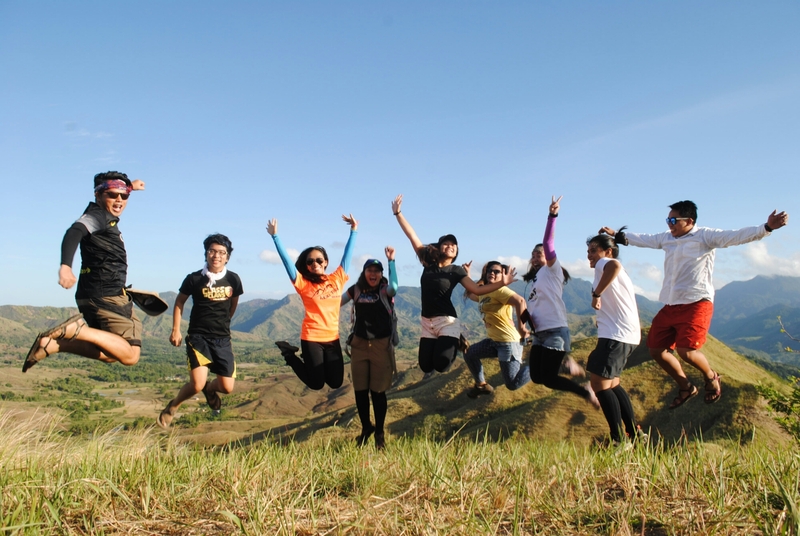 Local guides are mandatory and the usual guide fee is Php500.00 for a day hike, which is good for five (5) persons. Overnight guide fee is Php1, 250.00. From Cubao (Araneta), take Aurora Blvd. East Bound and continue straight to Marcos Highway. You will pass by Sta. Lucia Grand Mall, Masinag, and Cogeo. 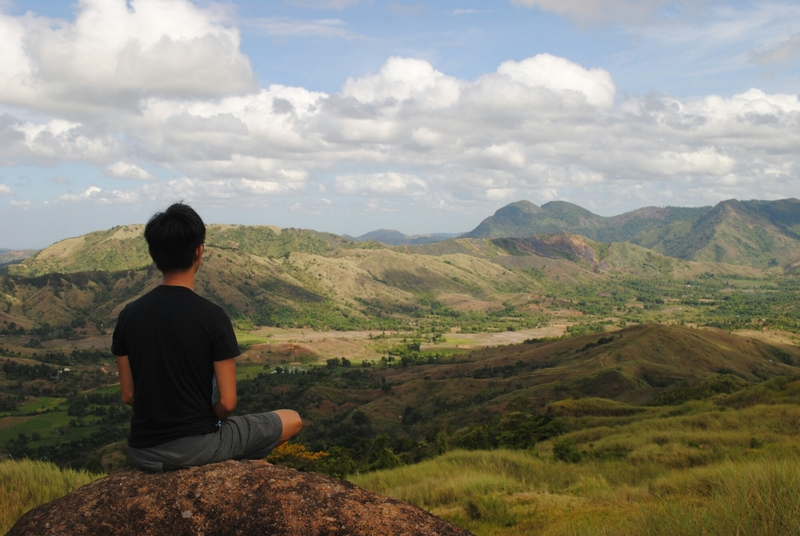 After Cogeo, you will enter the Upper Marikina Basin Protected Landscape and pass by the zigzag road. You will also pass by Palo Alto and Garden Cottages. Then, a few meters from Kilometer Post 51, take note of the Welcome Arch to Barangay San Andres which is on the other side of the left side of the road (or if you have been to Mount Batolusong, it is actually the same road). Locals call it as Batangasan or Batangas. Follow the road that will lead you to Brgy. San Andres. The road is a mix of concrete to rough. After Brgy. San Andres comes Brgy. Sto. Niño. Once you see forking in the road, take the left side (the one that goes up). A few more meters and you will reach Brgy. Cayabu. Go past the Cayabu Elementary School and the Cayabu Barangay Hall until you reach Mar-ning’s Farm and Resort – jump off of the climb. From Cubao, ride an FX (or a jeepney) to Cogeo Gate 2 Antipolo (Php 35). Once in Cogeo, locate the jeepney terminal and ride a jeepney going to Sampaloc/Tanay. Inform the driver to drop you off at Batangasan/Batangas. (1 hour travel time). Several tricycle and habal-habal can take you to Mar-ning’s Farm and Resort in Barangay Cayabu. (30 minutes travel time). You can ask the habal-habal/tricycle driver to fetch you in the afternoon at Mar-ning’s and will bring you back to Batangasan. Wait for a jeepney bound for Cogeo Gate 2. It is said that jeepneys usually pass by Batangas until 7pm. Once in Cogeo, ride your way to Cubao via FX or jeepney. Thank you to Team Nae Nae for this awesome adventure!! How come the hills and mountains are devoid of trees ?